Providing you the best range of steel scaffolding prop, adjustable prop, telescopic steel prop, shoring prop, vertical heavy duty prop and scaffolding prop with effective & timely delivery. 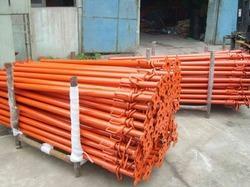 Steel Scaffolding Prop offered comprise precision designed and constructed range of industrial steel scaffolding props that can be made available in both standard as well as customized finish specifications. Finding application in meeting the construction demands of buildings and other support infrastructures, these feature use of superior grade steel that provides in these flawless finish values. We can offer these Props in different finish specifications that support meeting diverse end application requirements. Adjustable Prop offered comprise precision designed and constructed range of adjustable props that are developed in accordance with defined industry guidelines and are manufactured using modern machines and quality material support that provides in these sturdy and durable construction support. We can also offer these props in customized range as per requirement of clients. 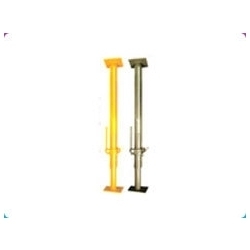 Telescopic Steel Prop offered comprise precision designed and constructed range of steel props that are developed in accordance with defined guidelines using modern technology support so as to provide in them durable construction finishes. These are also examined on defined quality parameters before making final delivery to customers and are made available in corrosion resistance finish. 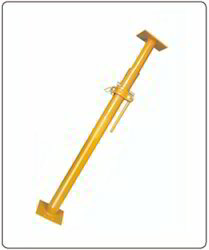 Shoring Prop offered comprise precision designed and constructed range of shoring props that are developed as per the defined industry norms and are made using high grade material that provides in these durable as well as long lasting finish support. Finding extensive usage as scaffolding accessory in construction industry, we make these available in maintenance free and dimensionally accurate finish. 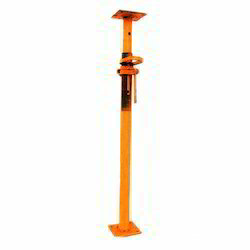 We are offering vertical heavy duty prop. These are designed to match up with diverse end application requirements of clients and allow quick adjustments, thus providing functionality support as a secure clamping device. 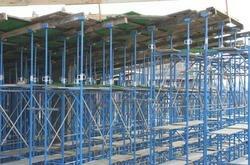 Scaffolding Prop offered comprise precision designed and constructed range of scaffolding props that are made available in sturdy construction finish which makes these infinitely reusable. Finding application in supporting form work shuttering applications, these are made available with telescopic function that provides for speedy erection and dismantling as well as also do not require tooling support for erection and dismantling. 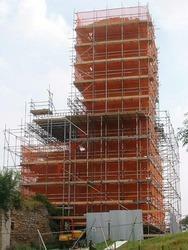 Looking for Scaffolding Prop ?